Thanks to their bright colors and chemical defense, blister beetles are fascinating creatures, even in the already strange world of insects. But sometimes, especially when their populations grow to high levels, they can become a nuisance pest. If you’re looking for some information on blister beetle control, you’ve come to the right place. Read on for some guidance on how best to deal with this unique insect. The first thing to know about blister beetles is that they are not out to get you. 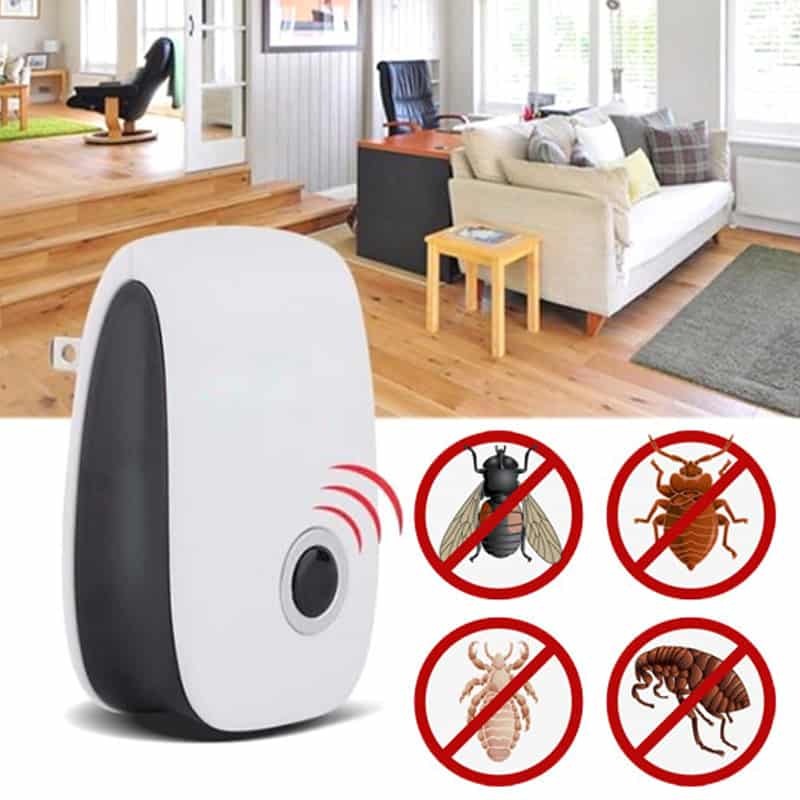 Thanks to their ability to release a blistering agent called cantharidin when threatened, which can cause human skin to form blisters within a couple of ours, these bugs have gotten a bad reputation. This hasn’t been helped by the fact that the blister beetle can be dangerous to horses. Sometimes, blister beetles get harvested along with the hay that is fed to horses, and their crushed bodies result in horses being poisoned. But this is hardly the beetle’s fault. They are just doing what comes naturally to them. With all that said, blister beetles can become a nuisance. While in their larval stage, they are parasitic and feed only on other insects, in their adult stage they will happily feast on plants. These may be the same plants you are trying to grow for yourself. Alfalfa, beets, tomatoes, potatoes – these all provide food sources for blister beetles. And because these insects are gregarious – meaning that they like to stay with one another in large groups – a blister beetle problem can quickly get out of hand. While the blister beetles may not be interested in the same parts of the plant that you or I would be, they often eat the leaves of the plants people try to grow. If there are enough blister beetles, they can eat so many of a plant’s leaves that the plant becomes unable to capture enough energy from the sun to feed itself and dies. This is where the blister beetle runs into trouble with gardeners. Blister beetles are common throughout the eastern and central United States, and on down into Mexico and the Caribbean. If you live in an area that has a population of these strange bugs, it’s highly likely that you’ve run into them before, or at least heard about them. And if you’re a gardener, you’re certain to come across them sooner or later. Blister beetles don’t mean us any harm. 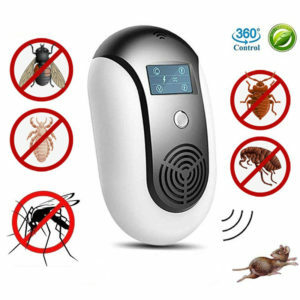 But due to their ability to emit a blistering chemical onto our skin, they pose more of a problem than many other pests. With that in mind, many people want to know how to get rid of blister beetles from their garden as quickly as possible. So read on to find out what you can do if blister beetles are becoming a problem on your property. In order to know how to get rid of blister beetles, it’s important to understand what brings them into conflict with us in the first place. As already discussed, the tiny blister beetle larvae stay out of the way of humans. Not only are they so small that they are difficult to see with the naked eye, but they are parasitic on other insects, such as bees or the eggs of grasshoppers. It’s only once the larvae grow up and become adults that they start to feed on plants, and it’s this that brings them into our gardens. 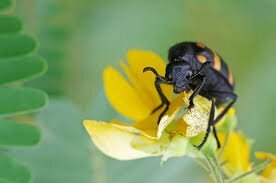 The damage that blister beetles do is compounded by the facts that the adults are not picky eaters. They will consume a wide variety of different plants, usually eating the leaves. Peas, beans, potatoes, turnips, tomatoes – all these plants and more are as delicious to the blister beetle as they are to us. And because the blister beetle is gregarious, they often travel together in large numbers. The end result is that a gardener may get up in the morning to find that their plants have been skeletonized while they weren’t looking! As with almost all pest problems, the best place to start is with prevention. It’s easier to stop a problem from developing than it is to get rid of one once it’s arrived, after all. So let’s look at a few things you can do to prevent your garden from being invaded by blister beetles. A major source of food for blister beetle larvae is grasshopper eggs. Grasshoppers like to lay their eggs in shaded, overgrown areas. 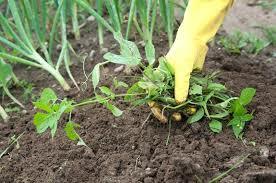 So if your carefully tended garden is edged with long weeds, cut that foliage down to size. Reducing the number of grasshoppers in your area will do wonders to reduce the numbers of blister beetles. Historically, blister beetle outbreaks are often tied to seasonal increases in the numbers of grasshoppers. Blister beetles are attracted to light. In fact, the most common way that people receive blisters from these bugs is from sitting out at night under lights. Porch lights, pool lights, security lights – all of these act like beacons to draw blister beetles to your property. And once they’re around, it won’t take them long to find and feed on any appetizing plants you may be trying to grow in your garden. Reducing the sources of outside lighting will help to make your home less attractive to blister beetles. And if you really can’t do without your outdoor lights, you could try using different colored bulbs. 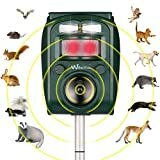 Insects are attracted to different frequencies of light, and those frequencies correspond to different colors. There are many species of blister beetle, and all have slightly different levels of attraction to different lights, so it will require some experimentation on your part to find a kind of light that works for you. But if it stops a swarm of blister beetles from stripping your tomato plants bare, it may well be worth it. The effectiveness of this idea is debated, but some gardeners swear by the idea of growing certain plants, or at least allowing certain plants to grow, purely for the bluster beetles to feed on. The idea is that these plants will be the ones the blister beetles eat, leaving your vegetables alone. Calendula is a popular choice for this purpose. The downside of this method is that you have no real way of knowing how many blister beetles may descend on your garden, so it’s hard to be sure that you have enough trap plants to hold them back. Let’s say that your attempts to keep the blister beetles away have failed. You’ve pulled up all the weeds to deter the grasshoppers from laying eggs. You’ve killed all your outdoor lights so that your home looks like the dark side of the moon once the sun goes down. But still, the blister beetles have found your crops and are feasting on your plants like there’s no tomorrow. What now? There are chemical pesticides that are labeled for use against blister beetles. These can be very effective and are often what large-scale farmers use to protect their own crops and their livelihoods. These pesticides are often applied as a broadcast spray, and can often provide residual protection that lasts for days or weeks after the initial application. An example of a pesticide that is often used against blister beetles is Cyonara RTS. This pesticide comes in a container that attaches to your water hose and mixes itself with the water that passes through it, making it very easy to apply. The technique is to spray all the plants in your garden with the pesticide, and it will not only kill any bugs already on them, but kill any that try to eat the leaves once the pesticide has dried. Cyonara is labeled for use in vegetable gardens, so it is safe not only for your plants, but also for anyone who eats your plants once they have been harvested. However, as with all pesticides, it pays to carefully read the label before using the product. Cyonara should not be used for between 7 to 14 days before harvesting your plants in order to give time for the pesticide to leave the surface of the vegetables. As always, it is recommended that you wash your produce before consuming. Be warned that although Cyonara is safe to use on vegetables, it is not in any way organic. So if that is important to you, you may need a different solution. 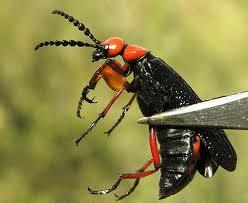 Blister beetles are known to potentially be very dangerous to livestock such as cattle and horses. The beetles are often found in the hay that these animals eat, and by consuming the blister beetles in large amounts through their feed, animals can sicken and die. For this reason, it is very important to protect your livestock from the threat of blister beetles. You can use a product like Cyonara in barns and stables to help keep the blister beetles out of your animal’s feed. There are also products like Essentria IC that, when properly diluted, can be used directly on the animals themselves. 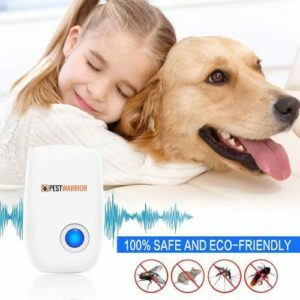 Not only will this keep blister beetles at bay, but it will also help with bugs like flies and ticks that can make your livestock extremely uncomfortable during the summer months. Of course, not everyone is comfortable with using pesticides in their garden. After all, we all know the harm that overuse of chemicals can cause to the environment. And often, the entire reason people choose to grow their own vegetables is so that they can limit their intake of artificial chemicals. For these people, heavy pesticides are not an option. So how do you get rid of blister beetles in a more natural way? Unfortunately, blister beetles don’t have a lot of natural predators. 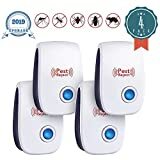 Their chemical defense is designed to ensure that any animal that eats a blister beetle will not want to repeat the experience. So while, for example, many people keep chickens as an effective form of pest control, this is not advised in the case of blister beetles. Besides the preventive measures listed above, though, there are things you can do once the blister beetles arrive in your yard. Things that don’t involve the use of strong artificial pesticides. 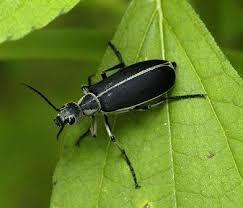 One method that many gardeners suggest to get rid of the blister beetles is to remove them manually. You can pick the beetles off one at a time, but due to their habit of releasing the blistering agent cantharidin when handled, it is strongly recommended that you use a good pair of gardening gloves for this task. If this seems too time-consuming for you, you could try the following approach. Place a dish of soapy water under the plants that are affected by blister beetles and give the plant a shake. The blister beetles tend to play dead when they feel threatened, and this response will cause them to fall from the plant. When they fall into the water, the soap will break the surface tension and cause the blister beetles to drown. Any beetles that manage to cling on can be removed by hand, but you’ll be glad you wore those gloves. This tactic is best performed regularly. 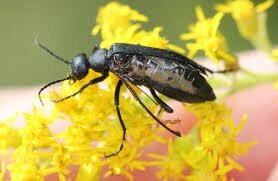 Blister beetles arrive without warning, often in large numbers, so it would be a good idea to check on a daily basis to see if any of your plants are being fed on by blister beetles. The numbers of blister beetles tend to gradually increase throughout the summer months, so beginning regular inspection of your plants early in the growing season can often help to keep their populations from getting out of control. It may require constant vigilance, but it will be worth it if it saves your plants from being stripped of their leaves by voracious blister beetles. Diatomaceous earth can also help keep the numbers of beetles down. This fine powder is not a traditional pesticide but is instead a physical control. By sprinkling it over the soil around your plants, it will create a barrier that will kill bugs that try to crawl across it via dehydration. This will help with the larvae of the blister beetle, since they live in the soil. However, since the adults can fly, it will be of limited use against them. Depending on the types of plants you are growing, row covers can be a great investment. Some solidly anchored garden fabric will help to keep flying adult blister beetles away from your prized plants. This approach will be most effective from mid to late July onwards, when the mature blister beetles are most active. Note that it will do very little to prevent your plants from being attacked by blister beetles that have overwintered in your soil, so this approach works best when combined with something like diatomaceous earth. Some wild birds will happily eat blister beetles, seeming to be unaffected by the irritating blistering agent cantharidin. Well-placed bird feeders can attract birds to your garden, and the birds will pick blister beetles right off your plants without you having to do anything other than keep their feeders topped up. If all these methods fail, there are certain sprays you can use to protect your plants without harming the environment. An example of one such spray is Monterey Garden Insect spray, though there are others. This spray contains the active ingredient Spinosad, which is a biological pesticide that is made through the use of a naturally-occurring bacteria in the soil. Spraying the leaves of your plants with this spray should make them extremely unappetizing to the blister beetles, and after a few bites, they will stop trying to eat the plants. 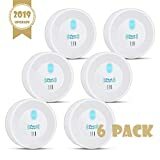 The advantage of these sprays is that they do not affect other, non-target insects that may also live in your garden, and may even be beneficial to the health of your plants. As you can see, blister beetles, while interesting insects in their own right, can become a real nuisance for the gardener, and even more so for anyone keeping livestock such as horses, cattle or sheep. But fortunately, there are a few measures you can take which will help to protect your home and garden from blister beetles. Besides the usual chemical sprays, there are a number of less environmentally harmful and organic ways to control blister beetles naturally. So next time you come across a blister beetle in the wild, take a moment to appreciate this miracle of evolution. But be glad it’s not bringing its friends over for dinner in your vegetable patch. And above all, remember: look, but don’t touch!